Tomorrow I'm jetting off to Norway followed by Sweden for a much needed 10-day trip. Since it's a relatively short trip and I'm only allowing myself to bring a carry on, let's see what makeup necessities I'm bringing. 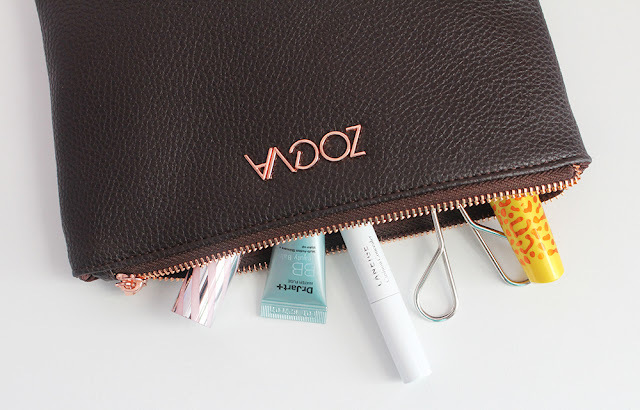 Everything fits into a pleather Zoeva pouch that came with one of their brush sets but I'll need to transfer some of the cream products into my clear liquids pouch. As usual I tried to pare my routine down and take sample minis that I have on hand to cut down on the bulk. I also aim to bring long wearing products that I don't need to fuss with. I'll list out the items by category so you can see exactly what I'm bringing and link to separate reviews and swatches where applicable. I tend to be very minimal in terms of makeup when I travel because my skin usually goes crazy from the flight and I'm not in the mood to fuss with products when my skin is unhappy. 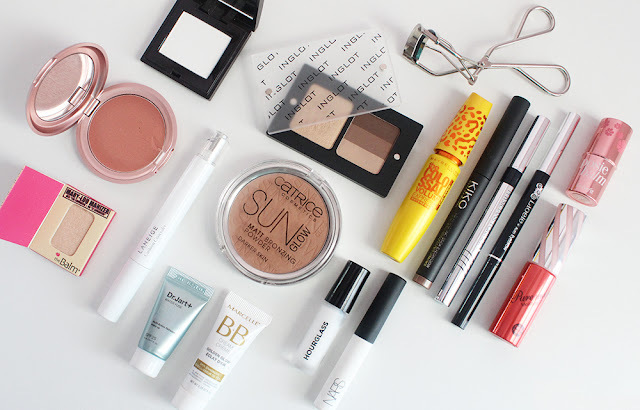 I could have been even more strict and not included the eyeshadow primer and duo altogether and left the highlighter out. But I figured I'd bring them along "just in case". Regardless of what beauty bits I'm taking with me, I'm sure I'll be spending less time getting ready and more time taking in all the sights that Norway and Sweden have to offer! I'm excited to take lots of photos and get back into travel posts! Until then, I'll have a few prescheduled reviews for the next week and a half.